Ride on Toys are where it all begins for many kids of the world today. 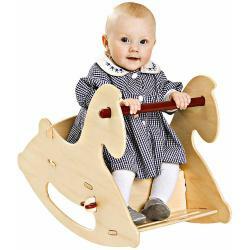 Jumpin' Jacks Toys have carefully selected kids ride on toys that represent design innovation. They provide amazing fun for kids and burn energy, exactly what every child needs. Check out the mechanical marvel of the PlasmaCar, one of the coolest ride on toys for kids on the market. Hand kids a Teeter Popper and walk away... but don't look away. Seeing the curiosity, the surprise,..